This was not a planned litter. Unfortunately these two beautiful dogs will be having a litter with us. We did not plan this as both dogs were under the age of 2 when this mating happened. We have consulted with our Veterinarian on the matter and we are reassured these puppies and the Dam will be just fine! There is no going back at this point. We will focus on nutrition for the Dam as she is still growing and the overall nutrition of her litter. Nevada will be just fine, as will this litter of beautiful puppies! 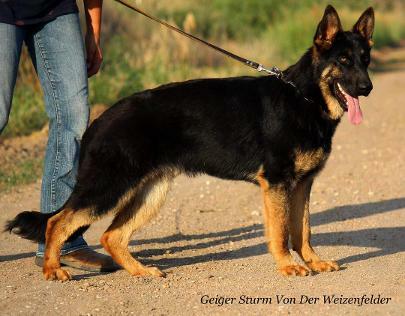 Geiger is out of our Meiko Vom Zellwaldrand, our Male from Germany! Who has produced many Amazing puppies out of our Kennel! 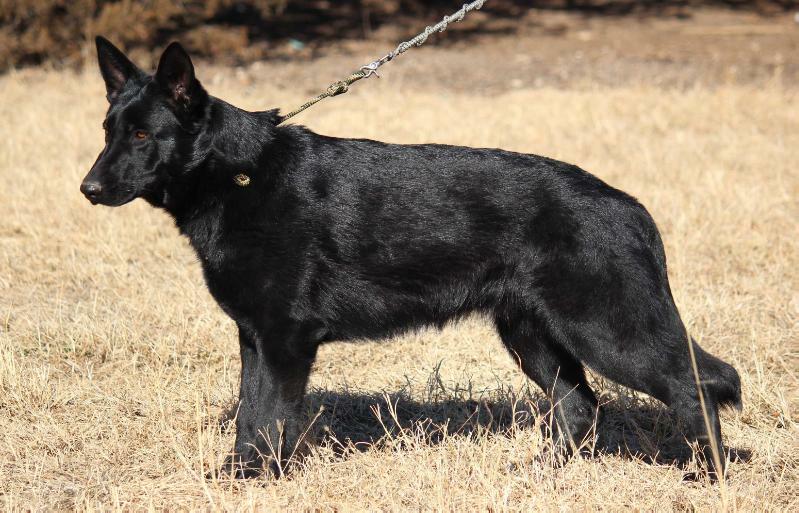 Nevada is out of our West German Working Line Male: Django von der Weizenfelder from the Southland who has produced many healthy and beautiful puppies our of our Kennel. Mikannes Cherub Z Von Dak. High Drive Girl! So, Genetically with the above ratings on the hips we do not foresee any Genetic Hip issues in this Litter! None the less, the Sire and Dam are too young to be Certified with Hip Scores through the OFA until 2 years of age, so we are pricing this litter a bit less than our normal litters. Full Registration price on this breeding is $1400 but is not available at this time! Have an OFA HIP Preliminary done at 12 months of age with a passing score. After both the above are done, we then will contact the AKC and have them release Limited Status and give you Full Breeding rights and Full AKC Registration! But for now, only Limited AKC Registration will be Offered at the sale of these puppies.